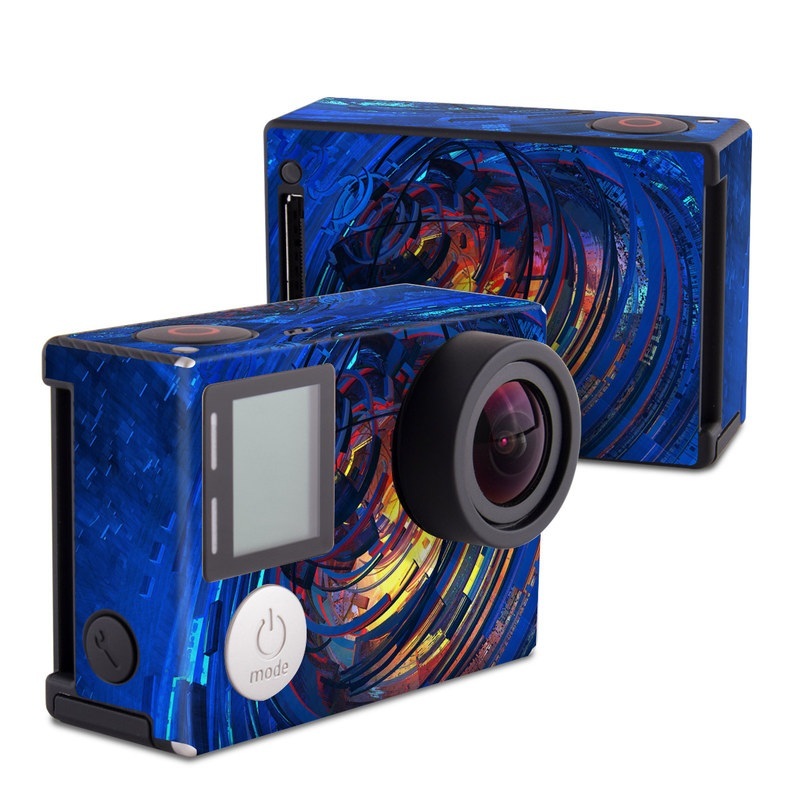 iStyles GoPro Hero4 Black Edition Skin design of Blue, Water, Circle, Vortex, Electric blue, Wave, Liquid, Graphics, Pattern, Colorfulness with blue, orange, yellow colors. Model GPH4-CLOCKWORK. Added Clockwork GoPro Hero4 Black Edition Skin to your shopping cart.